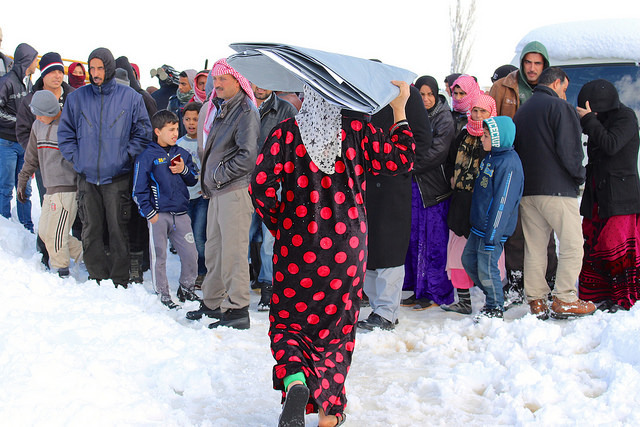 Back-to-back, severe winter storms brought heavy snowfall and flooding to Lebanon and Syria recently, devastating Syrian refugee settlements, and highlighting the perilous future facing the refugees—threatened by climate change, Lebanese policy, and violence in Syria. Winter has struck the Levant hard this year. A severe storm, dubbed “Norma,” began to whip through Lebanon and Syria with heavy rain and snow on Saturday, January 5. Five days of precipitation left the high mountains and valleys of the region crippled by snow, freezing cold, high winds, and floods. Floods also washed through Lebanon’s capital, Beirut, and other coastal areas. The brutal storm hit Lebanon’s estimated 1.5 million Syrian refugees harder than most. 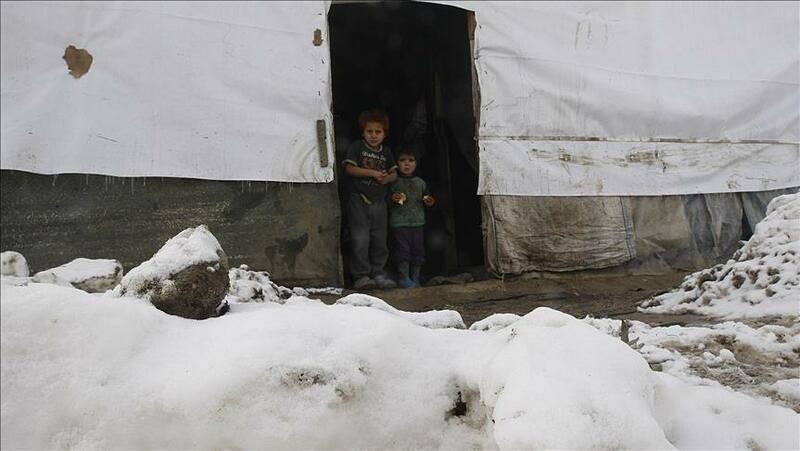 Rain, snow, and wind battered hundreds of refugee camps and informal settlements that span Lebanon and Syria. Most of the affected settlements are in the northern Akkar plains and the eastern Bekaa Valley. The UNHCR (United Nations High Commissioner for Refugees, also known as the UN Refugee Agency) estimated that at least 22,500 refugees in 570 informal settlements in Lebanon were affected in some way, with nearly 50,000 more at risk. Nearly half of these are children. At least 847 refugees in Bekaa and 700 in south Lebanon were forced to relocate. Some are now being housed in schools or mosques. At least 66 informal settlements experienced flooding and 15 were destroyed outright, according to the UNHCR. Access to and from some settlements in the mountains was cut off for days. The situation in the affected locations is still precarious with flood water swamping some camps. Flooding hit hardest in the Bekaa Valley, where most of the informal refugee settlements are concentrated. Water rose by almost one and a half feet, flooding the camps, many of which are built on flat land. Shelters are usually fragile tents or built with flimsy materials that are unable to withstand severe weather. Bar Elias, home to a settlement of around 420 refugees in the Bekaa Valley, sits on the banks of the Litani River. Knee-high freezing water from the overflowing river inundated families’ tents after days of precipitation. Camps lack adequate drainage and sewage systems to cope with heavy floods, leaving the sewage-contaminated waters to wash away shelters and belongings. Some families reported that the floods destroyed everything they owned, including food. After a tanker truck pumped out water from the camp, refugees returned to their tents to find their mattresses, clothes, and blankets drenched, leaving them without vital protection against the piercing cold. Fuel for cooking and heat was wet and incombustible, resulting in useless stoves and cold and hungry families. Receding water left thick mud, adding to an already long list of problems. These camps and settlements are home to children, elderly, and sick people who “will not survive much longer without being moved to warm and dry locations,” according to Dr. Hussam Al Fakir, chairman of UOSSM International, a multinational humanitarian coalition. Many families lacked proper winter clothing and protection from the unforgiving weather, which also hindered NGOs’ distribution of needed supplies. After the storm, some children had to wade through freezing water only in sandals. In the northern town of Minyeh, an eight-year-old Syrian girl fell into a flooded river and drowned; hers is the only recorded storm-related death so far. A second storm, named “Miriam,” began to batter Lebanon with more rain and snow on Sunday, January 13, mere days after Norma died down. Anticipating winter storm Norma, the agency also “prepositioned stocks of emergency items and sent out SMS messages to refugees” in the Bekaa Valley, warning them of flooding, offering advice for recovery, and replenishing stocks in preparation for storm Miriam. Some schools in the refugee camps had so-called “Ghata” units attached—cheap, modular, and watertight rooms that can easily be constructed, deconstructed, and relocated. The units, designed in part by the American University of Beirut, proved their ability to withstand severe weather and provided much-needed shelter to dozens of refugees. After the storms, the UNHCR and other NGOs tried to find alternative shelter for families displaced by the floods. There is no clear indication of whether or not the storm-affected settlements will be restored in the same locations or attempts will be made to relocate their residents. Despite the efforts of many aid organizations, most refugee settlements were not prepared to withstand such extreme weather. The policies and social attitudes that govern refugee settlement in Lebanon left many Syrian families in precarious circumstances that humanitarian efforts could not easily remedy. Storms also battered some northern settlements in the winter of 2018, although this year’s downpours have wrought more damage, in part due to their severity and in part because many refugee families moved in 2018, often downgrading to “substandard” structures in vulnerable areas. The Lebanese government opened its borders to Syrians from 2011 to 2014, allowing 1.5 million refugees in. But they were left without a “clearly defined and consistent policy, legal or, administrative framework,” according to an American University in Beirut report. Beirut closed its borders in 2014 and asked the UNHCR to stop registering refugees altogether in 2015. Lebanese policy prohibits Syrian refugees from building concrete housing because they are technically only granted temporary residence in the country. Consequently, 53 percent of Syrian refugee families live in these substandard, vulnerable shelters. The “absence of a rights-based refugee policy [in Lebanon has] made their stay turbulent at best and dangerous at worst,” said a report produced by the American University in Beirut. Unfortunately, refugees continue to settle in the most flood-prone areas in Lebanon, namely the Bekaa Valley and the Akkar plains, which are also both historically impoverished and underdeveloped. According to a 2014 report produced by the Civil Society Knowledge Center (CSKC), “protracted marginality, underdevelopment, and weak infrastructure” define every area in Lebanon where Syrian refugee communities live. Political deadlock has obstructed the central government for years, leading to unequal access to “public services, employment, and infrastructure.” Consequently, refugees’ “legal and political conditions” and access to aid, opportunities, and decent living conditions vary widely based on their geographical location. Refugees’ choices of location are not random. They may be drawn to certain areas by land availability, affordability, work opportunities, family and friends, or communities hospitable to their political views. The Bekaa Valley hosts the highest concentration of Syrian refugees, largely due to its proximity to the border and its long social ties to Syria. One town received 20,000 refugees in two weeks due to fighting across the border. Lebanese communities have reacted to the refugees with either relative indifference or frustration. In the impoverished north, some have voiced resentment to the diversion of development funds to refugee settlement and the perceived economic competition they represent. The economy and security of the Bekaa had noticeably declined by 2014, in part because of the influx of refugees, according to the CSKC report. Syrians now living in Lebanon face a perilous future, stuck in a threatening apathy due to Lebanese political uncertainty, persistent violence in Syria, and looming climate change. Lebanon’s Minister of State for Displaced Affairs, Mouin Merhebi, explained that Syrians should eventually voluntarily return home under UN supervision, but Lebanon will not force them out. 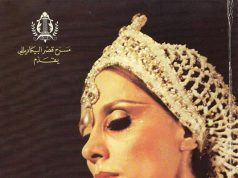 Nonetheless, their situation “will not allow [their full integration into Lebanese society] in any condition,” he added. Lebanon is a small country, whose debt-to-GDP ratio is one of the world’s highest. It is not realistically capable of absorbing all its resident refugees, who account for nearly half of Lebanon’s current total population. That these refugees will want to return home when the situation in Syria improves, however, is far from certain. Meanwhile, the same winter storms also devastated displaced person settlements in western Syria, leaving thousands without shelter, heat, or medical access. Most of the 317 settlements are concentrated in Idlib province, which saw a mass influx of Syrians fleeing violence in the south in 2018. Nearly half of the 2.9 million people living in Idlib are displaced, and half of these are children. 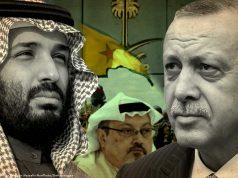 A tense, potentially catastrophic military conflict looms in Idlib, with Russian, Syrian, Iranian, and Turkish forces hovering in opposition on the edges of the province. “Things are so fragile, any further escalation or displacement would just create a huge humanitarian crisis,” said Save the Children’s Caroline Anning. Conflict in Idlib had hampered aid efforts to prepare refugees for the winter. Even if the conflict in Syria ends and its refugees return, rapidly rising summer temperatures and intensified winter storms might make many areas less habitable, driving yet more movement. The same goes for Syrian refugees’ current homes in Lebanon. Heavy rain and snow are common, but winters have gotten harsher as a result of climate change. A Lebanese Ministry of Environment study reported that periods of torrential winter rain have become significantly more frequent since the 1980s. It also predicted that Lebanon’s already long, hot summers will become nearly four degrees Fahrenheit hotter by 2039, and two months longer by 2090. Lebanon’s urban areas are ill-equipped to deal with these changes. They are also incapable of absorbing high levels of immigration from the marginal refugee camps, which will be hardest hit by natural disaster. Millions of Syrians, both refugees in Lebanon and displaced persons within the country, are being forced into a perilous position by politics, climate, and geography. In the coming years, these millions will likely be pushed time and time again to move, reviving old tensions and breeding new ones. This year’s bitter winter is driving Syrian refugees and their Lebanese neighbors farther apart and into an ever more contentious situation that may be hard to reconcile. 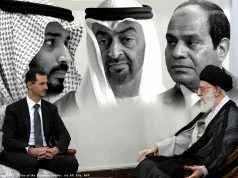 Can Arab Gulf States Neutralize Iranian Influence in Syria?